Sprite Uncontainable – Semi Finals going down soon! 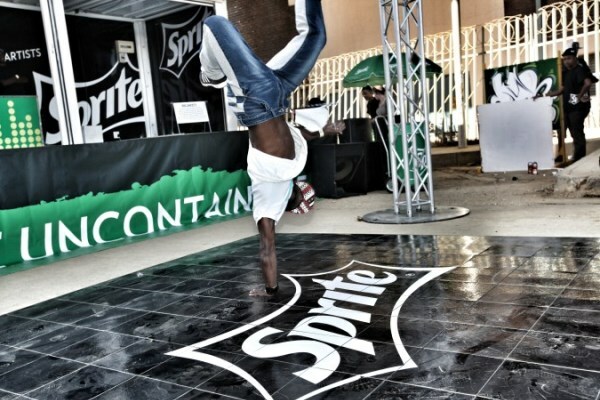 You NEED to get down to JHB on 27 July for the anticipated Sprite Uncontainable Semi Finals. Doors open at 9pm at the cost of R50 treats you to HOT performances by the likes of Khenzero, BoyzNBucks, Tumi and more – not to mention you’d be witnessing the final contestants being selected in the respective categories (MC/ dance/ graffiti) to go on and battle for the ultimate title in the finals on 25 August at Zone 6, Soweto. Zen (293 Fox Street) plays host to this amazing semi-final event that’s sure to create mass excitement for the grand finale. Keep your eyes peeled to www.hypemagazine.co.za for constant updates and be sure to check out www.spritehiphop.co.za/ for more info and the chance to win the BEST prizes (iPods & Beats earphones) by voting for your favourite contestants. B-boy Benny takes Red Bull BC One South Africa cypher!